Participants at the RelCovAir launch at Erlangen, Germany. Qosmotec participates in an international Consortium to develop a test and simulation environment for Industry 4.0 applications. 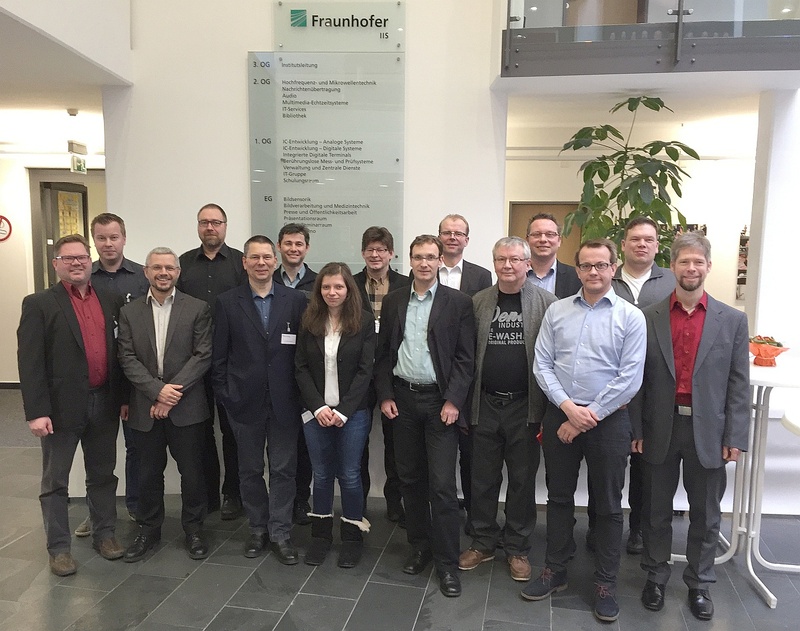 The project called “Reliable Industrial Communication over the Air” (ReICovAir) started last week with a kickoff in Erlangen, Germany, and aims to develop methods and tools for testing wireless communication systems for industrial production processes which demand a very high reliability. RelCovAir has been set up within the EUREKA-Initiative CELTIC-Plus. Currently, companies and research institutes from Germany and Finland are participating in this joint project. Partners from Spain and France are expected to join during this year. The German consortium, that is funded by the German ministry for education and research (BMBF), consists of several partners, with whom Qosmotec has already been working for a long time: The Fraunhofer Institutes IIS and HHI, the Institute for automation and communication (IFAK), CETECOM GmbH as well as GHMT AG. “Fraunhofer IIS, who have taken over the lead for the initiation of this project, have managed to assemble a very strong consortium in Germany with plenty of expertise in radio channel modeling and test and measurement on the air interface”, says Qosmotec’s General Manager Mark Hakim. “Similar to the Car2X project, where our joint activities with a chair from the university in Aachen and CETECOM have been funded by the ministry for economy, we expect a good outcome of this project and the development of test systems for a new application area.” The project runs until autumn 2018.